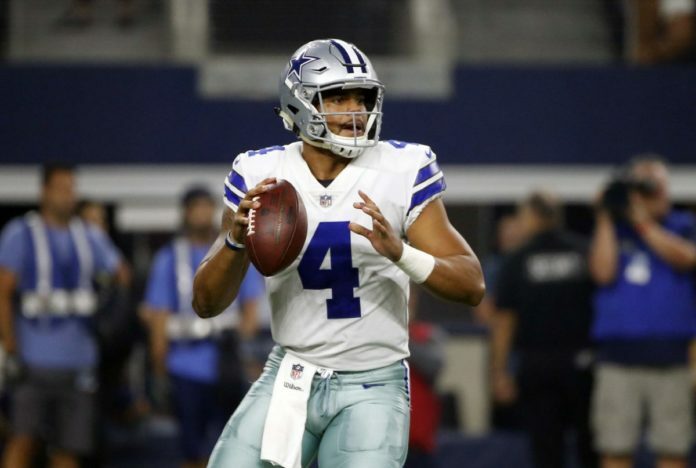 Sunday’s game against the Giants left Dak Prescott with a new goal: make history. Prescott is two pass attempts away from becoming the first quarterback in NFL history to throw five or fewer picks in his first 500 pass attempts, according to the Cowboys website. His 498 passes so far have resulted in four interceptions: one against the Philadelphia Eagles, one against the Washington Redskins, and two in one game against the New York Giants. Only in the game against the Giants did the Cowboys lose.